The Book of Henry (in theaters June 16) is one of this summer’s most charming, thrilling and surprisingly emotional moviegoing experiences, and according to director Colin Trevorrow (Jurassic World, Safety Not Guaranteed), it’s also unlike anything else you’re likely to see this year. The film, about a single mother (Naomi Watts) tasked with raising two precocious boys (Jacob Tremblay, Jaeden Lieberher) who set out to rescue their neighbor (Maddie Ziegler) from an abusive parent, features big sweeping tonal shifts, a difficult subject matter and a story that relies on its young cast to do a lot of heavy lifting. For Trevorrow, an experienced parent of two small children, it was the way he connected with the story on a personal level that drew him in and kept him involved, even as his career suddenly found him directing blockbusters like Jurassic World and the upcoming Star Wars: Episode IX. During our chat, we spoke with Trevorrow about how being a parent is influencing his work, and how some of the movies he grew up with helped influence The Book of Henry. The director, who’s about to take hold of the final chapter in the Skywalker saga, also discussed what he’s hoping to bring to Star Wars, and why creative risk-taking plays an essential role in every project he works on. The Book of Henry opens up in a grade school classroom as Henry (Lieberher) and his classmates are presenting a project called “My Legacy.” So we began by asking Trevorrow about his own legacy, from both the vantage point of his grade school self, as well as the adult he is today. Colin Trevorrow: I think at Henry's age I would have answered arrogantly. I really believed that I was going to be a film director from a very young age, and it's just what I wanted more than anything, and I knew it was going to take a lot of hard work, and it did. I was a very confidant 10 year old, and I knew what I wanted. Fandango: What about adult Colin Trevorrow? Trevorrow: Now I would say I would hope that my legacy would be that I challenge myself, and ideally set an example for other filmmakers who've had great success to constantly continue to take risks, and put themselves on the line, and challenge themselves, and tell new original stories. It's very easy to get complacent and comfortable. They pay all right when you make a big movie, and to go and do something that I think is unlike any movie that I've ever seen, for better or for worse, I'm very, very proud of it. 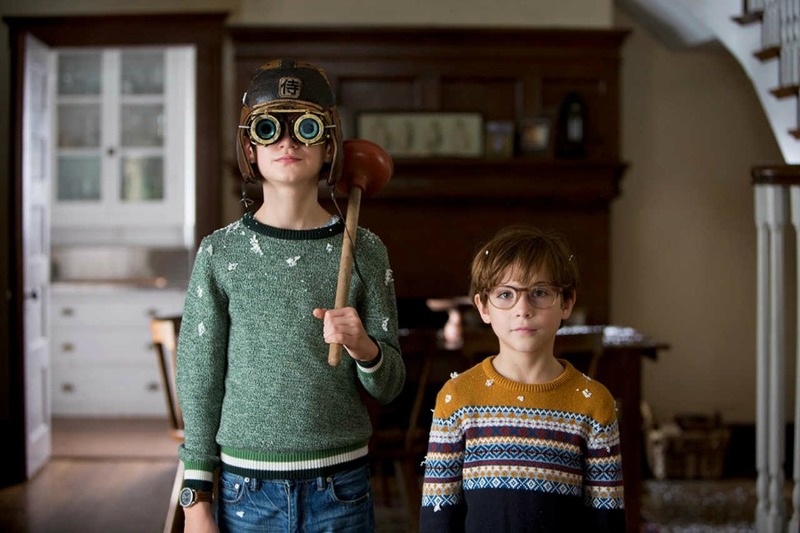 Fandango: What movies did you watch before or during the making of The Book of Henry to help get you into the right headspace -- films that perhaps inspired you throughout the process? Trevorrow: I was watching Ordinary People and Kramer vs. Kramer, but then we were also watching Rebecca, and Rear Window, and Psycho. We were watching Hitchcock stuff because that's really where the movie takes you. It was important to me that we take people on a journey that normally you would go on in a big summer blockbuster. Feeling that sense of fear, dread, terror, love, family and romance. All of those things that we love about movies I felt were compacted into a tale between two houses. Fandango: Who would you say this movie is for? Is it for adults? Is it for kids? Is it for parents to watch with their kids? Trevorrow: I think it's a movie parents should see together. They can decide if they want to bring their kids. I think it's a movie for people who love movies. Every screening that we've had of the movie, it kind of digs into people, and I've gotten e-mails like four, five days later where people have said, "I can't get this out of my head. I'm thinking about this a lot and how this relates to my life." Fandango: Is there a scene or moment in the film that resonates with you most? Trevorrow: There's a scene where Henry is reading in bed with his mom, and he asks her why she didn't do something to stop this violence that they saw in a grocery store. She says, "Well, you know, there's nothing I could do." His answer is, "Apathy is the worst thing in the world, not helping people who need our help." I think at this moment [in our world] we feel so much anger every day, and the world just feels like it's falling apart around us and burning down, and that very childlike sense of responsibility to help others really, really connected with me. That's definitely my favorite moment. Hopefully it encapsulates what the movie is trying to say. Fandango: Having directed both a smaller indie and now a blockbuster, what's something that you take from directing a smaller movie to a blockbuster, and from directing a blockbuster to a smaller movie? Trevorrow: I felt like on Safety Not Guaranteed, because it was kind of disguised as a mumblecore movie, I brought a different kind of sensibility into Jurassic World then I think I will bring into [Star Wars: Episode IX]. [The Book of Henry] is much more of a rich family drama, which is not dissimilar from [Star Wars]. I think having to force myself to confront my own fears as a parent, and really dig into places that I may otherwise not want to dig into and want to look away from. It's where I have to go with [Star Wars] for it to be as emotionally resonate as it has to be. I have to find something deeply personal for myself in what I'm about to do or else it's just going to feel shallow. Fandango: As a parent who is making films that kids may go see, do you go to your kids at all and look at what they're watching, or look at how they're interacting with stuff and apply that to the movies you're making? Fandango: Saw that, it was a great pic. Trevorrow: She had a very profound reaction to it. We thought it was a little long for her, and we weren't sure if she was going to be a part of this, but she came out and was like, "I'm going to want to watch that every day, and I am Wonder Woman now." It was pretty stunning to see it happen. It's important, that movie. It really is. Fandango: So you’re about to make a Star Wars movie -- is that something that you think about? How much you're going to influence this younger generation, handing them a movie and an experience they may cherish for the rest of their lives? Trevorrow: It's how it was with us [growing up]. Luke Skywalker, Han Solo and Princess Leia were all characters that we were able to identify with in various ways, and especially with the character of Rey and what she means to young girls right now, and the challenges that she's up against. It is extremely crucial that I understand what actual children are feeling about these stories that we're telling them, and I think it's important that I have kids, and if filmmakers don't have kids, they should go talk to them because they don't see things the same way that we did when we were kids. So, yes, I am very dialed in to that because I think it's a requisite of the job. Fandango: Rian Johnson has a list of movies he watched that helped inform Star Wars: The Last Jedi. Do you have a list of movies you watched or are watching right now to help you prepare? Trevorrow: I mean, I watch movies all the time just cause I'm a person, but I'm not in a research phase right now. I also do a strange thing, which maybe isn't the right thing to do, but as I get close to a movie I stop watching movies that are similar to it because I'm afraid I'm going to rip off shots from them or something and I want it to feel pure and instinctive all along the way. There'll be an interview someday where I'll say what those movies were that inspired me, and they'll print it. That's not yet, not yet. Fandango: Is it your hope to make a film that’s better or more memorable than, say, Return of the Jedi? 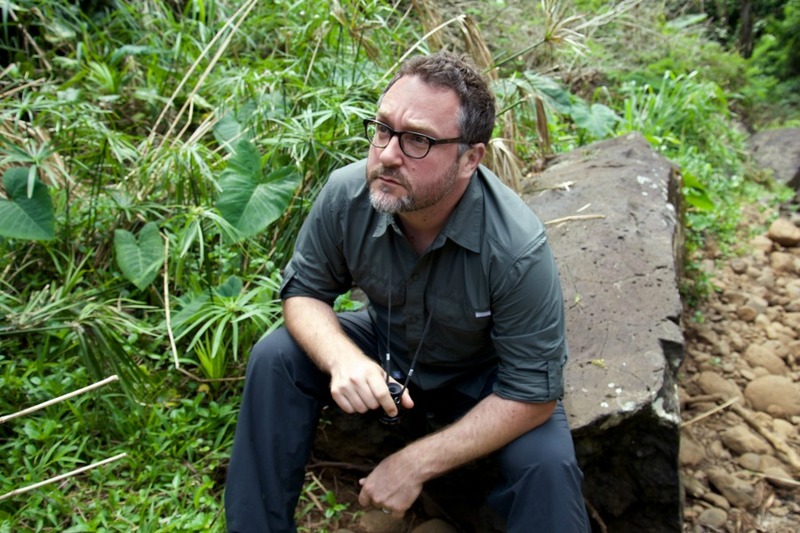 Trevorrow: My hope is to make it as richly satisfying as it could possibly be. I have a lot of support, and a lot of really brilliant thinkers and storytellers around me. Kiri Hart and the Lucasfilm story group, and Michelle Rejwan, and Kathy Kennedy, my producers, and J.J. [Abrams] and Rian [Johnson], and Larry Kasdan, and when you look at this army of brilliant people that we have, it's not me alone. It's a whole team. The Book of Henry arrives in theaters on June 16. Meanwhile, Star Wars: Episode IX hits theaters on May 24, 2019.